It’s out! It’s out today! I’m SO BLOODY EXCITED! I won’t lie, this book was not an easy delivery. When I first sat down to write a non-I Heart book, I thought it would be, quite frankly, a piece of piss. I had loads of ideas! It would take mere days to get them onto paper! But um, no. The first two drafts, as my editors would probably not tell you out of politeness, were utter shite. It took me far too long to realise that I was trying so hard not to write an I Heart book, not to write Angela, that what I was actually writing was rubbish. Rachel was whiney and difficult, Matthew was mean, Emelie was just rubbish. And so, with a head full of flu, a heart full of Christmas and a bloodstream full of Sudafed, I started rewriting. As in, from the beginning. And inside three weeks, I had a burgeoning meth addiction*, no concept of day or night and a new book. Unfortunately, by this time it was too late for me to feel OK about it. Once the book had been delivered, typeset, copyedited and printed, it was out of my hands and on its way to the bookshops. As I’ve mentioned here (too many times), the weeks and days before a book comes out are terrifying to me. I can’t remember what I wrote. I think some of it was funny. Pretty sure some of it wasn’t. I tried not to make it clichéd or hackneyed but I also tried not to sleep for three weeks and that’s never a good idea. And today, at last, it’s with you. Which means I’m in the final throes of shitting bricks while I wait to see how it charts, if it charts, and what the reviews will be like and whether or not my publisher will ever let me write another book as long as I live. I hope they do, I haven’t got a job anymore. Anyway, my rattling on over. I really, really hope you like this book. The mental three weeks I spent pulling it into shape were some of the trickiest but most rewarding I’ve spent as a writer thus far (I’m a writer, I say thus) and there were parts of the book I remember being very proud of. And parts I remember glossing over. And parts I remember thinking ‘they’ll never let me leave that in’. But they did. Have fun trying to guess which bits. *Did you know you can make meth out of Sudafed? They told me in the chemist after I had to show my driving license to buy some. This all started to make sense when I had heart palpitations on the floor of the changing room in on Christmas eve and had to call my friend to come and get me. Nothing to do with the Marc by Marc Jacobs collection, honest injun. Previous ArticleOoh, news, reviews, giveaways! Hi I’m currently off sick from work – SGTDL arrived through the post late Thursday night and I honestly couldn’t put it down. It really helped cheer me up. It’s Saturday morning and I’ve just finished. I love (or should that be “heart” all your books and can’t wait for the next one. This book was amazing…started reading it and couldnt put it down…read it in one day!!! @Rea – definately agree with you on that lindsey should write a jenny lopez boook!!! My copy arrived today & coincides perfectly with the Boyf going away so I won’t be bothered by him when I read it!..can’t wait! 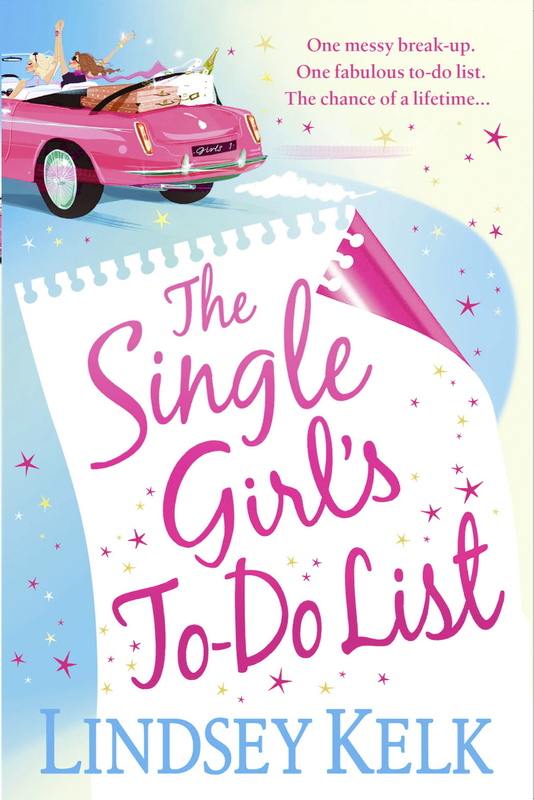 I have read all your ‘I heart’ books and couldn’t put them down, as soon as I knew your new book was out I HAD to buy it and after day one I am half way through it and must say its fab fab fab! Pleeeeease do more ‘I heart’ books, they make a great read on any occasion but spesh sitting by the side of a pool, a glass of wine in one hand and one of your books in the other, bliss! Read it in a day and a half, I loved it! I just ordered this book from Amazon and can’t wait for it to arrive. I have all your I Heart books, and they kept me laughing as I’ve recovered from surgery. I really can’t wait for you to come out with more. Hurry up and finish I Heart Vegas, I need another Lindsey Kelk fix!